RWA Success Learning, Weston, Wayland, Sudbury, West Roxbury, MA Locations. 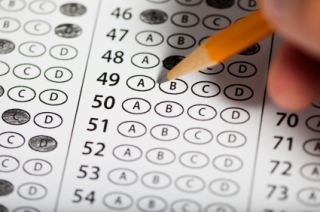 Standardized tests are a significant part of any student’s application portfolio. The Weston Wayland RWA Success Learning Centers have been working for over twenty five years to perfect our system for standardized test prep. Although SOME of the performance score your student will achieve on the SAT, ACT, ISEE and SSAT test will be about what he or she knows, which is information available through many math tutors, or even with some on-line study classes, a significant amount of his or her performance will be about HOW he or she is prepared to take the test. Unique, personalized, and honed to optimize your student’s potential standardized prep scores, we work with the singular strengths, skills and goals that your student possesses to create a plan for test day. From what to wear, to when to test, we have it covered. Although it’s never too late to work to improve, we encourage parents to start talking with us early. Why? For a sample of some of the top 5 costly planning mistakes for the SAT, click here. If your student is in the class of 2017, this is particularly true. See our dedicated "Class of 2017" page. Like the SAT, prep for other standardized tests can be optimized when they take into account who your child is, what skills he or she has, and the reality of your family schedules and commitments. BUT...We can’t help until we put together a plan! So call us, or send us an inquiry form, and we’ll call or email you at your convenience. PRACTICE & POINTERS FOR THE SAT EVERY WEEK!! A Great way to get to know us, and get your student to begin the SAT process. but you need to go another day next week because of sports practice? Want a program which is available on an ongoing basis without paying an arm and a leg? We offer Monday and Thursday Drop-in sessions for SAT Prep in Weston, and Wednesday afternoon and Saturday Mornings in Sudbury. Practice is much more fun with friends! Come any Thursday evening OR Saturday morning during the month to work with our specialists in math, reading, and writing. This is a flexible system. If you sign up for Thursday, but need to come in on Saturday, you can just let us know! You will work in a small group with peers and a tutor. YOU designate the area of focus, and YOU select the amount of preparation that you feel you need, as you go! This is a very popular option, and is available for $199.00 cost for four small group (1-3 student) sessions during a calendar month. If only one student comes, we still run the group. This program entitles students to utilize up to four drop-in sessions of an hour each. This is a unique opportunity presented by The Weston and Wayland Learning Centers to allow students and parents to enrich SAT study, find out more about the program options we offer, and take advantage of our unique strategies and senior tutors, who will help students and parents alike to prepare for the SAT challenge. Our tutoring subjects include math through calculus, reading comprehension and analysis through high school, and writing through the college level. Probably our most popular Tutoring programs are SAT, ACT, SSAT & ISEE Prep. Our tutors, who bring a minimum of 10 years tutoring into any situation will help you establish a goal for prep, and put together a truly individualized plan that will enable you to meet your goals. We pride ourselves on putting together sessions and plans that minimize stress by allowing us to focus specifically in the strategies needed to excel , and the particular skill building needed to meet course and test requirements. Our excellent curriculum from the mastery classes is a base of work that can be called into play as needed in this process. but to ensure that grades and basic skills are in place for the student to obtain entrance and to succeed once admitted.